TMR is a market intelligence company providing global business research reports and consulting services. 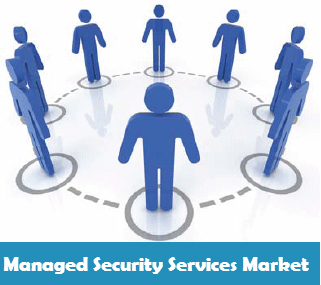 According to a new market report, "Managed Security Services Market - Global Industry Analysis, Size, Share, Growth, Trends, and Forecast, 2013 - 2019" published by Transparency Market Research, the market was valued at USD 9,249.7 million in 2012 and is expected to reach USD 24,127.1 million by 2019 at a CAGR of 15.4% from 2013 - 2019. The market growth is driven by increased demand for applications such as 'network security' and 'confidentiality' services. Cloud-based managed security service is seen as an emerging market and is expected to drive market growth in the near future. Industry verticals such as banking and finance services and insurance (BFSI), government and utilities, and telecom and IT, are seen as key demand drivers during the forecast period. Collectively, these segments accounted for 59.2% of the marker share in 2012. Due to fast growing demand from companies under the BFSI sector, this sector is expected to have highest market share throughout the forecast period. This is largely due to increase in incidences of frauds, payment defaults, and stringent regulations regarding GRC (governance, risk, and compliance). This in turn has pushed companies to adopt specialized solutions from managed security services providers, so as they can ensure the confidentiality and security of customer records and information. Different applications of managed security services are network security, access control, compliance, confidentiality, and 'risk and vulnerability management'. Among these applications, network security, confidentiality, and compliance services are emerging as leading segments. These segments accounted for approximately 67.4% of market revenue share in 2012. Managed security services Market are currently delivered through CPE (consumer premise equipment) based, cloud based, and hybrid (combination of CPE and cloud) models. Among all, cloud based services delivery model held largest share owing to the various benefits such as ease of installation and maintenance and lower cost. Scope for upgrade as per requirements and ease of switching the vendor are some of the factors supporting demand for cloud based managed security services. North America is expected to remain largest market for managed security services due to the shift in existing corporate governance policies and compliance requirements for retail, financial services, energy, and healthcare market. Moreover, under current economical scenario, many businesses in North America are relocating in order to expand geographically or to reduce operations cost (as compared to operations in city centers). However, Asia Pacific region with its fast growing BFSI, IT and telecom, and pharmaceutical industry, is forecast to record fastest growth for managed security services, with demand primarily contributed by SMBs (small and medium businesses). Driven by emerging opportunities and high growth potential, players from various industry sectors, especially IT sector, are entering into managed security service space, making the competition intense. Players such as Hewlett-Packard Co. (HP), IBM Corporation, Dell SecureWorks Inc., and EMC Corporation, are key players' dominating the market with share more than 40% of the market in 2012, with HP being the leader. New entrants are expected to face stiff competition from existing players, and will have to focus on service differentiation and quality, so as to sustain growth in the long run. Other vendors in the market are: AT&T Inc., Bell Canada Inc., Fujitsu Ltd., Trustwave Holdings, Inc., Symantec, Verizon Communication Inc., Tata Communications Ltd., Wipro Technology Services Ltd., Intergalis AG, and CenturyLink, Inc., among others. tmrreport is using Hatena Blog. Would you like to try it too?